Are your workshops and courses really designed to change lives? 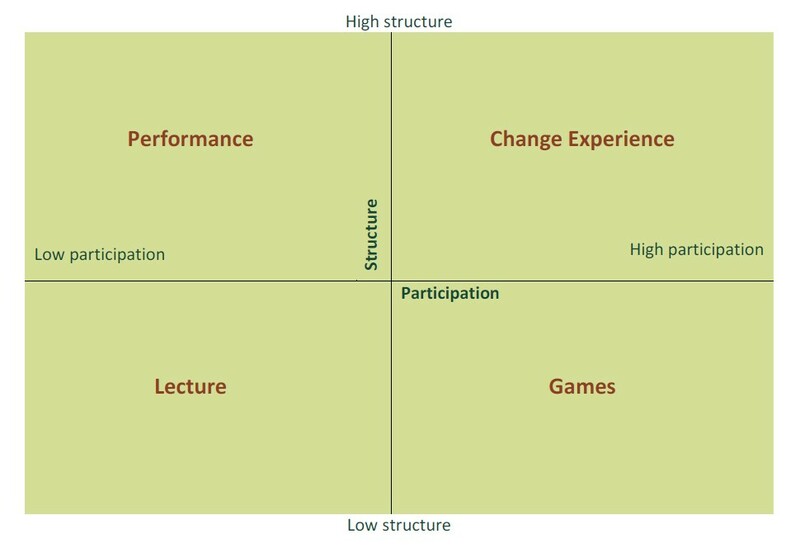 The transformational power of any learning experience relies on two main angles: structure and participation. Structure: If a learning experience is structured so that a participant is provoked, acknowledged, trained, challenged, allowed to reflect and rewarded, s/he is more likely to accept and internalise the learning than when s/he is simply expected to accept information poured over him/her. This is true even if the information itself is of excellent quality and the speaker is exceptionally persuasive. Participation: Most teachers/trainers know the Confucius saying: “Tell me and I forget, show me and I may remember, involve me and I will understand”. Participation and experience is more powerful than show and tell. However, participation can only occur when an atmosphere is created where participants can immerse themselves in the experience, feel safe to make mistakes, share control over their learning, see their contributions are incorporated, share the vision and are having fun at the same time. A Show is when an experience is designed for change, but non participative – people may marvel at the incredible material and it’s potential, but are unable to apply it in their individual contexts. A Game is not designed for transformation, yet very participative – everyone may have a lot of fun, but be left with a ‘so what’ feeling unable to grasp the significance of the experience. A Lecture is when an experience is neither structured for transformation, nor participatory – it may leave the participants cold and the trainer feeling disillusioned and ineffective. 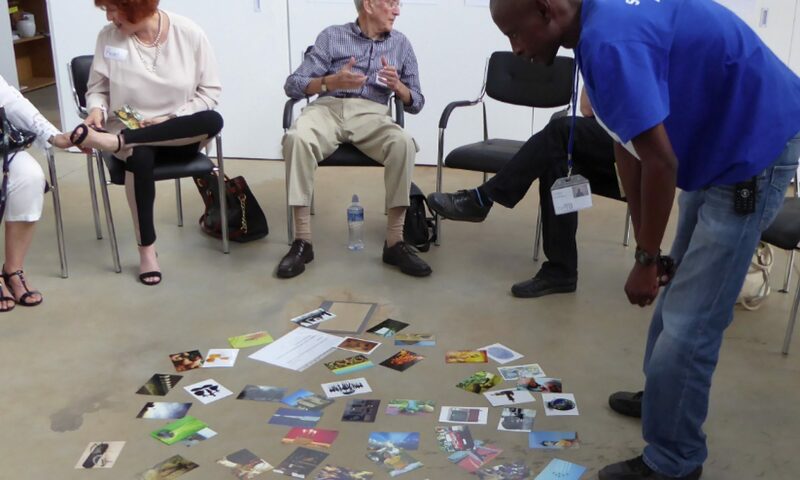 A Change Experience is both designed for change and participative – there is maximum potential for understanding the material as well as the ability to apply it in their own contexts. At Playing Mantis we now have 7 elements of structure and 5 ingredients for participation that we look for in processes designed for sustainable impact. As we refine our work these numbers may change since we discover new depths to both these elements of structure and participation every day in our work. What follows is a list of the elements of structure and participation along with questions to help you assess the transformational power of your own work. Alternatively, you can contact us and invite us to your next presentation. We will swap training for an assessment depending on the scale of your workshop/intervention. These criteria come from the world of theatre and story. Through the ages, stories and their enactment for people have followed certain patterns and conventions. All the great theatre makers and story tellers across time have known what elements to weave into their stories to impact the lives of their listeners. Surely if you weave these same elements into the design of your process you can achieve the same result? Note that there is a certain chronology to these elements, but the order is not set in stone. Yet, if you want to break the sequence make sure you know why you are doing it. Also, depending on the specific function and length of your process, all elements may not be present. We maintain though, that even the shortest of presentations can make room for all these elements in one way or another. The Call to Adventure – Provoke and inspire dreams. Do you understand the context of your participants well enough so that you know what they desire? Do you provoke and inspire their interest and invite them to dream? Debate – Acknowledging doubts. Do you allow participants to express their doubts and reservations about your content? Do you acknowledge possible resistance or anxiety? Do you have structures that defuse these without oppressing them? Meeting the mentor – Training knowledge and skill. Do you give them good information and skills to master that which you are teaching? Do you realise that this part of the cycle is just one among 7, or do you content dump for 90% of the time you have with your audience? Tests and trials – Challenging knowledge and skill. Do you give well prepared challenges that help sharpen their ability to understand and use what you are teaching? Do you challenge them in teams and individually to ensure holistic integration of knowledge and skill? Pause and intimacy – Reflecting on the bigger picture. Do you allow moments of quiet reflection to help participants internalise the learning? Do you use both individual reflection and small group reflection strategies for maximum internalisation? Reward – Rewarding commitment. Do you reward people for stretching themselves? Do you appreciate their efforts? The return – Supporting implementation. Do you provide follow-up support for participants trying to apply their learning in their ordinary lives? Improvisation actors do not wait for someone to give them a script before they act. They do not look to each other to take the first step. Improvisation actors act and make up the words as they go along. They participate as soon as they understand what is needed. They respect each other’s contributions, use all the offers they can, make each other look good and cause the audience to like what they see. Clearly these guys know how to inspire each others’ participation and they know how to participate so that the product is of good value. What are their secrets? Presence and awareness: Are you present and aware of your own thoughts and feelings as you facilitate? Are you also listening and paying attention to those of your participants, or are you mainly thinking of the content you are presenting? Do you structure activities so that participants need to listen to each other? Safety and acceptance: Are you able to create the feeling of safety so that participants feel able to take part? Do you accept their mistakes as well as your own? How do you create trust so that participants feel they can take creative risks? Giving and taking control: Do you allow interaction? Do you give some of the responsibilities of facilitation away to others? Are you able to check your ego at the door and accept your audience as equals even when they are younger than you or from a different class/race or gender? Do your activities help them to connect with each other as equals? Accepting contributions: Do you structure your facilitation so that people can contribute their ideas? Do you then use and incorporate these ideas? How do you ensure that all voices are heard and acknowledged? Do you appreciate the gifts of contribution in whatever form they appear? Intent and simplicity: Are you clear about your intentions for every part of the workshop? Are you able to maintain that focus in spite of all the contributions and idea sharing? Are you good at reincorporating ideas to follow the shared vision? Our offer stands: invite us to attend your presentation or workshop for free and we will give you an assessment as to the transformational power of your work using the criteria discussed here. Contact Petro at petro@playingmantis.net or Burgert at burgert@playingmantis.net .